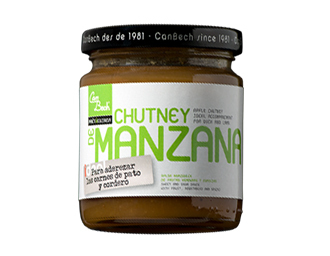 Golden apple Chutney with onion, raisins, ginger and cloves. 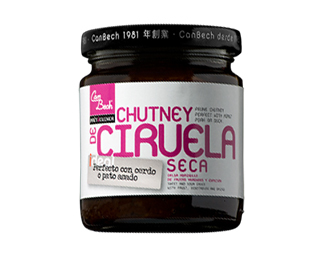 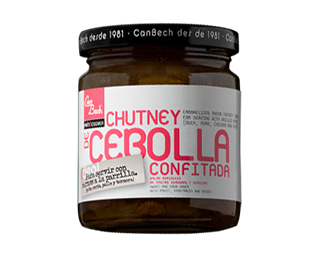 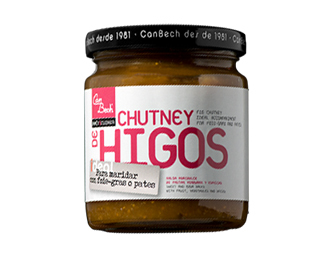 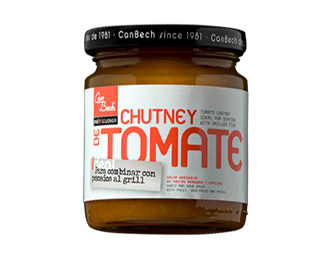 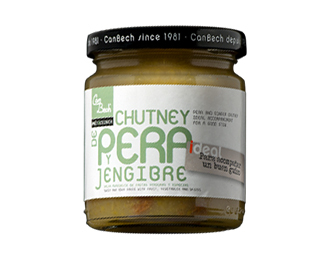 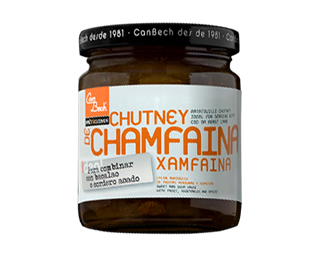 Ideal to combine with pork fillet, with chicken or with lamb. 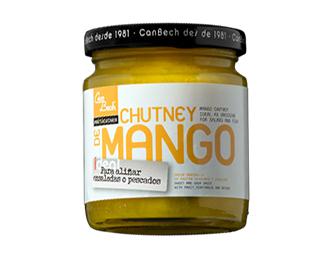 Ingredients: apples, onion, vinegar, sugar, raisins, lemon juice, pepper, ginger and cloves.